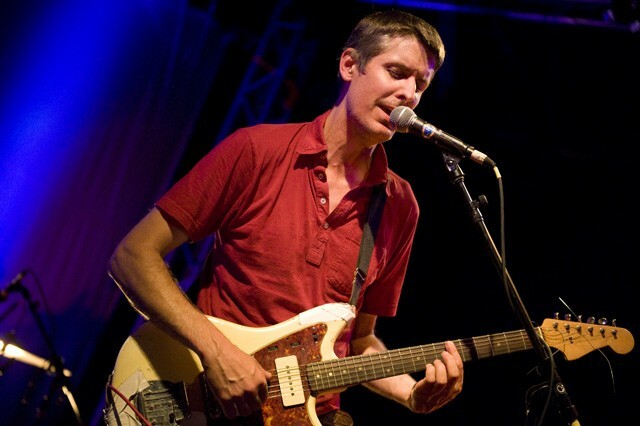 Joining Malkmus and his Jicks at the Echoplex in L.A. on Saturday night were the recently loved Fresh & Onlys and Red Cortez. Stephen’s amp started channeling a random Spanish language radio station, but he dryly quipped it was as a new Line 6 pedal. Joker. Photographer Andrew Youssef delivers these shots.